Some say a green color is difficult to style, but I don’t think so. 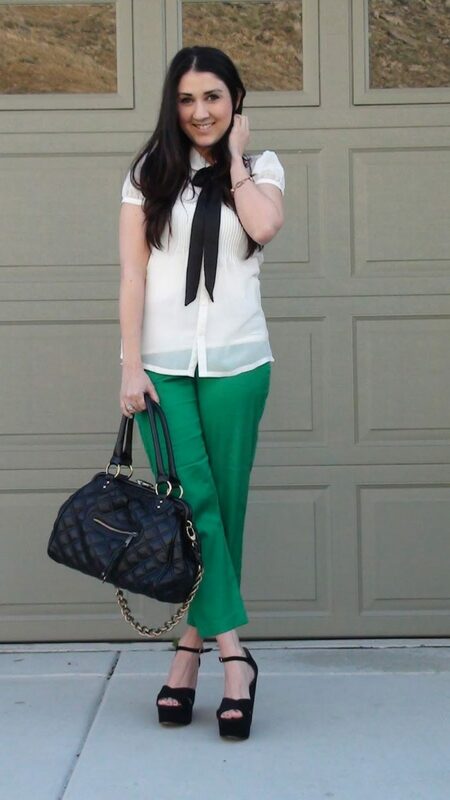 In today’s post, I want you to check my favorite ways how to wear green pants. Trust me, these bottoms can be more versatile than you think. In general, when we talk about pants, we automatically start to think of neutral dark color designs. We skip green, as we never used to wear it in our childhood. 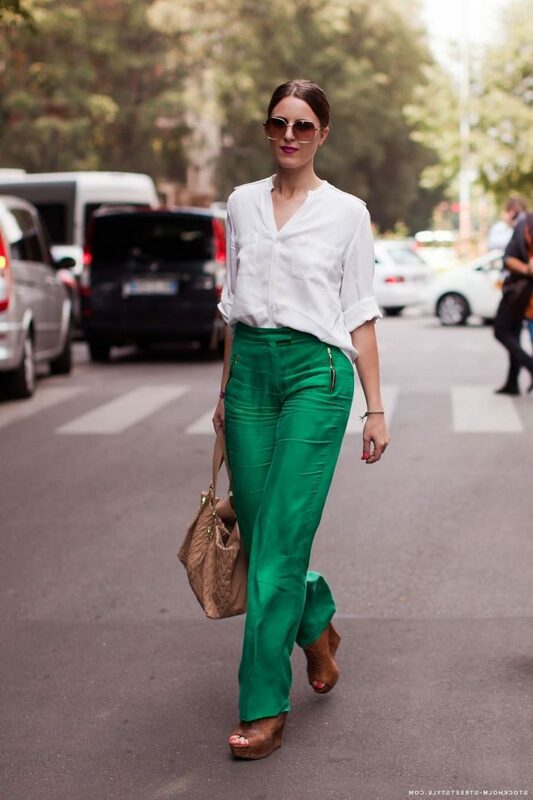 The thing is, green pants are easy to style and can easily set you apart from others. I personally get bored of classic blue, white and black pants, that’s why these green bottoms are going to be my favorites for the upcoming year. Before we move on looking through my favorite combos, I wanted to make it clear and find out which color top goes with green pants. There are many shades of green available right now, from emerald, forest green to olive, army and pastel green. All these shades look awesome with white, navy, pink, gray, black, beige, light salmon and rosy. Just keep in mind: your top color should be either lighter or darker to make that special contrast. 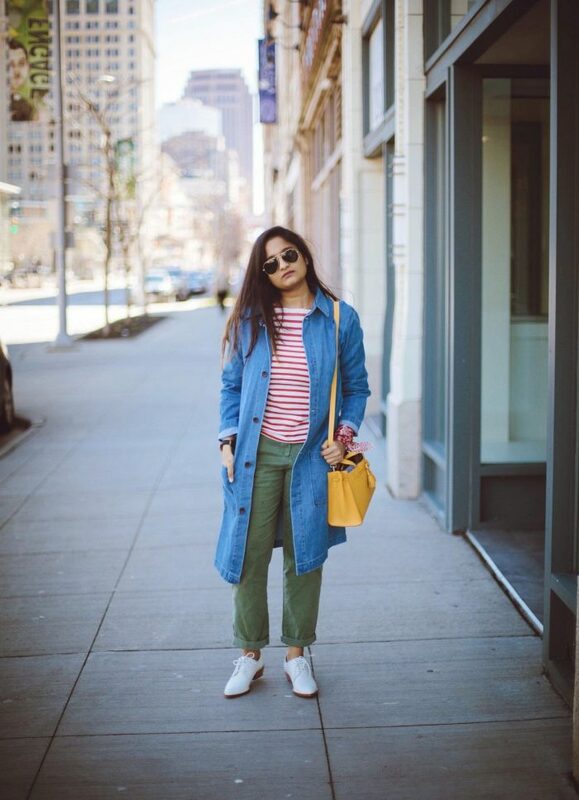 Speaking of prints, then keep it solid, either striped, plaid or floral print. 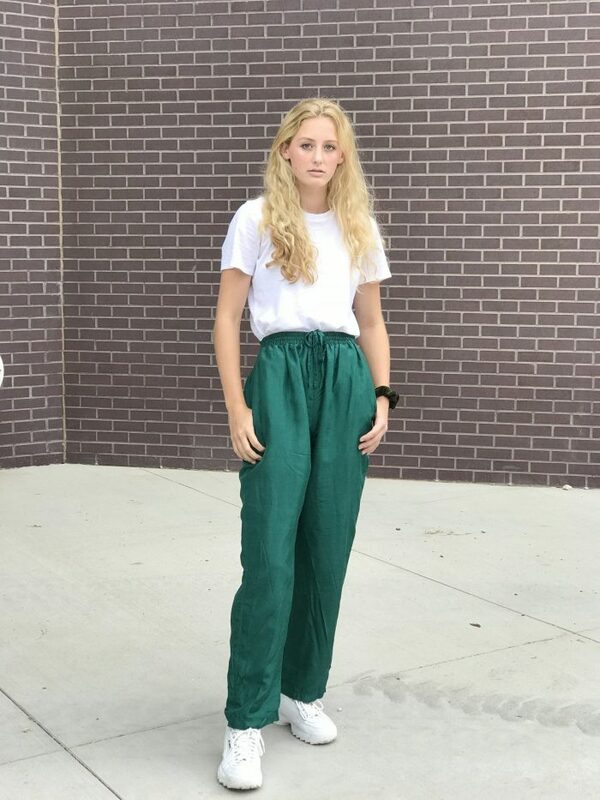 You are free to try on monochrome looks, all you need is a pair of green trousers teamed with a matching color jacket, complete it with a black shoulder clutch bag and white sneakers. 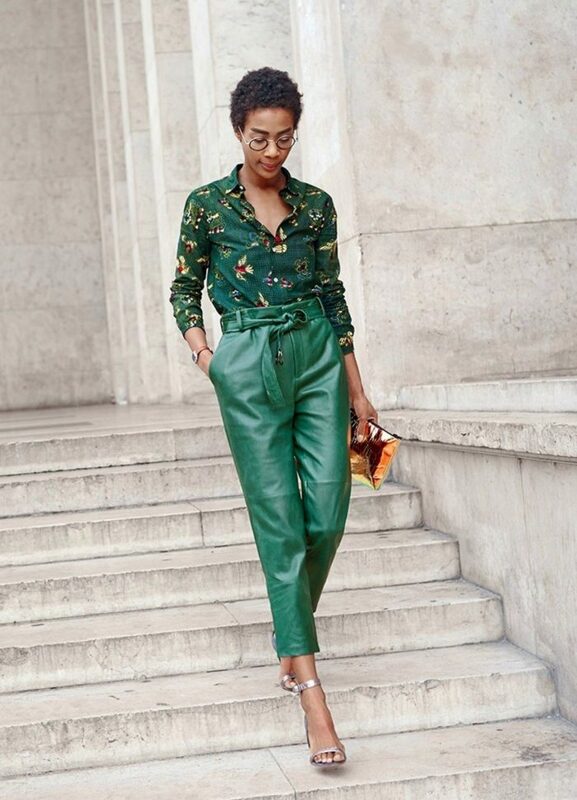 By the way, I am a big fan of leather, that’s why a pair of skinny green leather trousers is a good choice, team them with a cream white long-sleeve top and platform heeled sandals for a cool street walk around town. We see a fresh colored look consisting of an orange ribbed sweater teamed with silken dark green wide pants completed with matching color shoes. By the way, did you see my post on what knitted sweaters are in style now, check it! 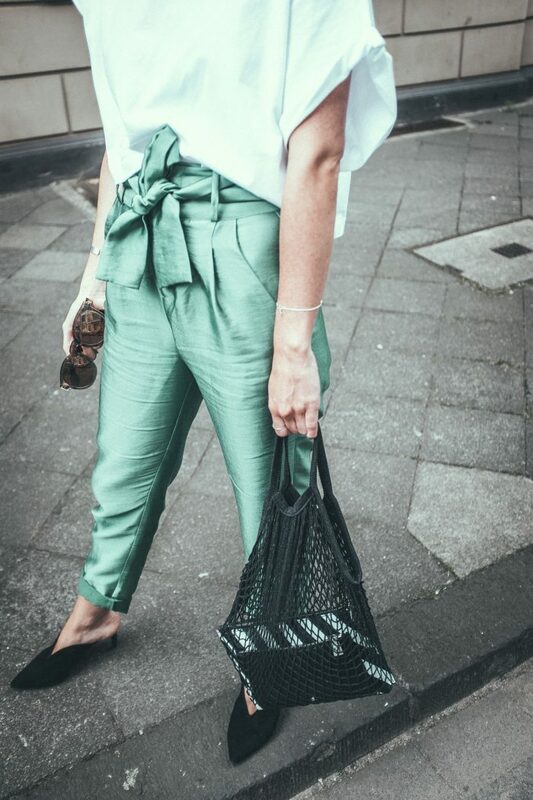 Wide-leg pants in green color look awesome with a long pink kimono jacket in cute florals, an awesome look for casual parties and weekends. 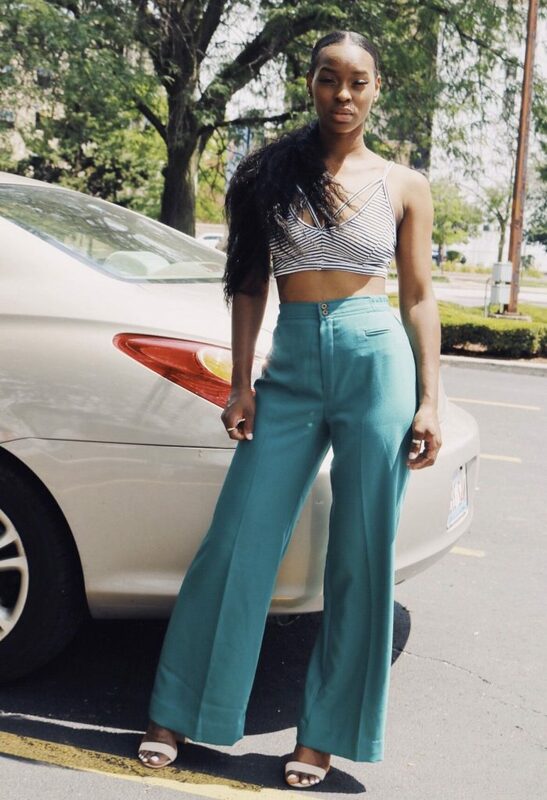 The most basic look can be another great choice, all you need is a white shirt and high-waisted green pants styled with platform wedge sandals. 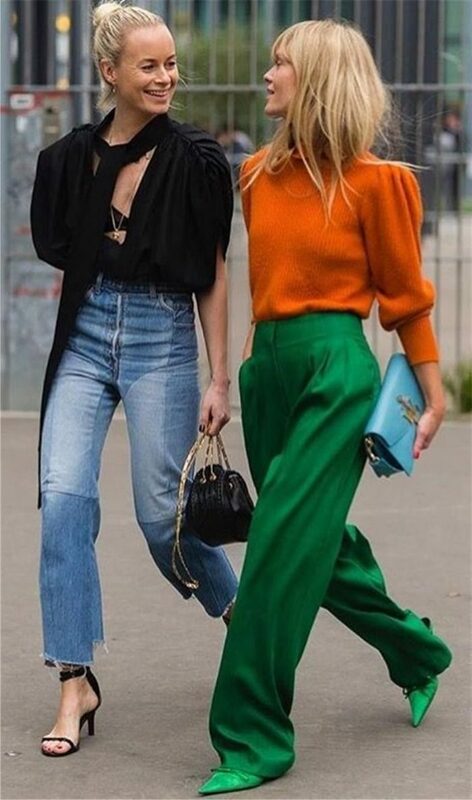 The burnt orange sweater can be a nice match to high-waisted wide leg green pants completed with pointed-toe white pumps. Anyway, take a close-up look and find your favorites.